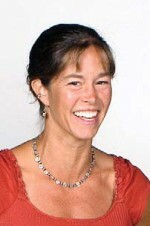 Elizabeth Sulzman, a scientist and beloved colleague with the Andrews Forest Program, died unexpectedly on June 10, 2007. An award-winning professor and scientist in the Oregon State University's Department of Crop and Soil Sciences, Elizabeth is remembered for her enthusiasm for teaching and research. Her boundless energy and sparkling grin endeared her to all who knew her. Elizabeth started at OSU and the Andrews Forest LTER after earning a bachelor's degree in biology from Yale and MS and PhD degrees in ecology from Colorado State University. Her work at the Andrews LTER focused on carbon dynamics at the DIRT plots. Results of her work indicated that increases in leaf litter stimulate microbial digestion of older carbon as well as the newly added carbon, resulting in lower net carbon storage. Her graduate students and colleagues are continuing to pursue this important work.